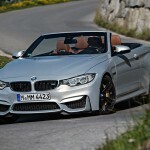 BMW introduced its first open-top high-performance automobile, the BMW M3 Convertible, 30 years ago in 1988. This company’s first was destined to thrill with an everyday, luxury sports car that was blessed with racetrack-proven engine and suspension. 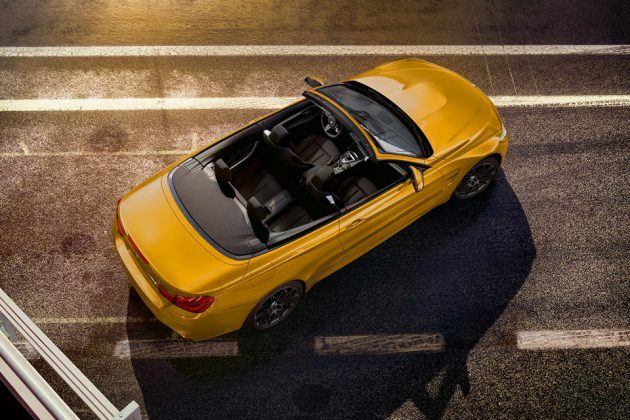 Today, BMW marks this 30 years with a special model, the 2018 BMW M4 Convertible Edition 30 Jahre. 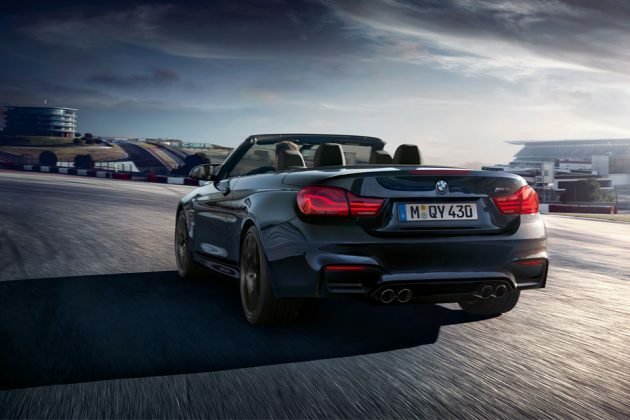 Limited to just 300 units, the 2018 BMW M4 Convertible Edition 30 Jahre brings to the table with M Competition Package that sees the 3.0L M TwinPower Turbo inline 6-cylinder motor massaged to produce 450 horses – nearly 20 more HP over the standard variety. 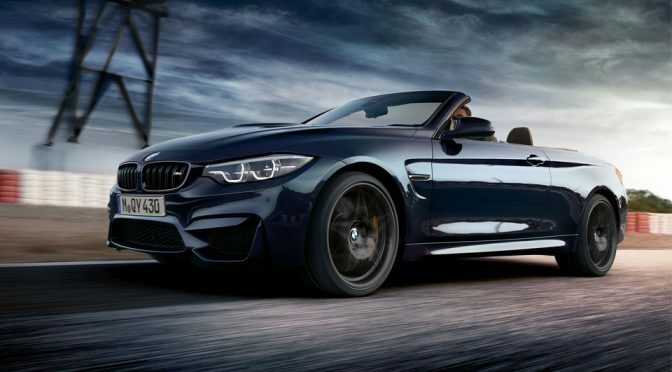 Furthermore, the Edition model also gets the M Sport exhaust system, adaptive M suspension with specific SPORT mode, “an extremely sport configuration of the stability control system DSC,” and Active M differential. 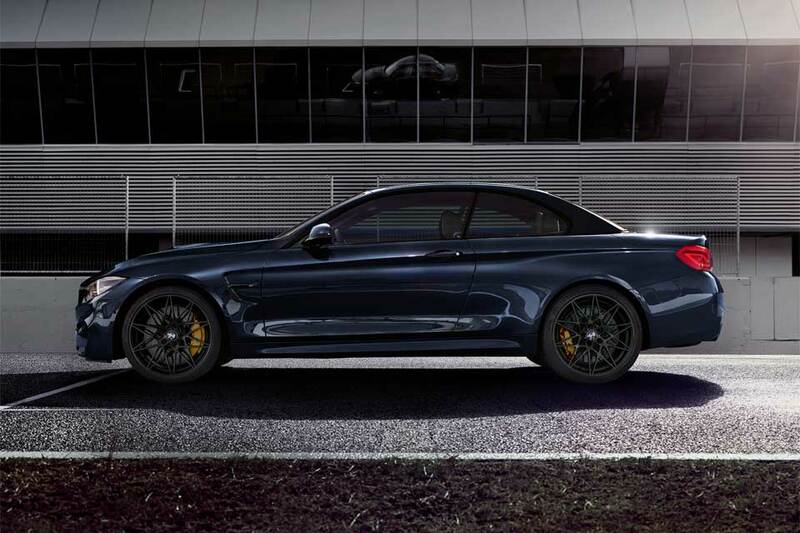 As for non-performance features, it will get specially developed design and equipment, both inside and out, and a choice of two tradition-steeped body colors: Macao Blue metallic, a color that’s a nod to the original car debuted 30 years ago, and Mandarin II unit, a palette reminiscent of the Dakar Yellow that was available on the second-generation BMW M3 Convertible. 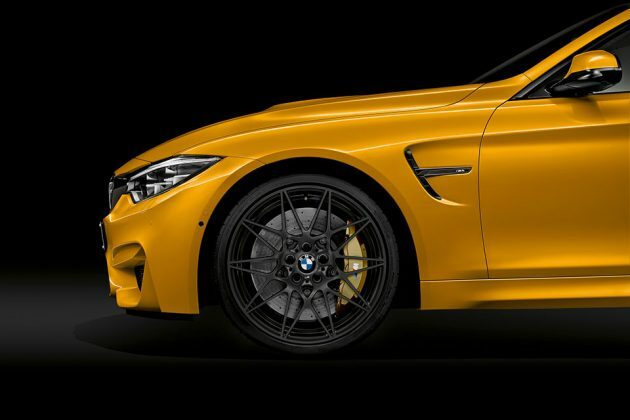 Each unit of the Edition model will also include BMW Individual High Gloss Shadow Line trims around the BMW kidney grille, M side gills, model lettering, as well as the massive 20-inch star-spoke design forged M light alloys. Speaking of the wheels, they are coated in Orbit Grey matte, a hue reserved exclusively for the Edition model. On the inside, you can expect Merino full leather trim with color(s) that matches the chosen body color, contrast stitching on headrests, contrast piping M floor mats, Carbon Fiber interior trim strips, and ample hint of it being the Edition model with lettering “30 Jahre Edition” around the cabin. Finally, there’s also the edition number, just so anyone who take the passenger seat will know this is a limited series car. 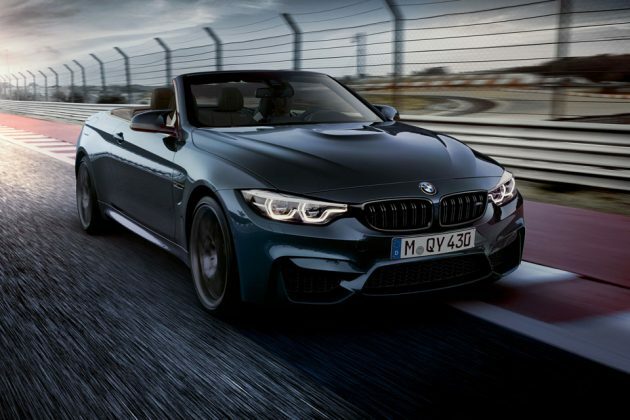 We have no idea when the 2018 BMW M4 Convertible Edition 30 Jahre will be available, but if I were you, I would be touch with my favorite local agent ASAP if I wanted a unit. 300 units are not a lot to go around, you know? Previous PostNow Dear Kitty And Fido Can Also Rest Inside The Most Dangerous Space Station In The GalaxyNext PostThis DIY NERF Rival Minigun Spits Out Foam Balls At 20 Rounds/Sec!